Hair (Elikatira), Tattoo (Pididdle), Earrings (Ticky Tacky) already posted. Skin (Curio), Hair (Elikatira), Tattoo (Glue Ink), Skirt (League), Bangles (Gabriel), Boots (Deco), Tights (Insanya), NeckLace 2 (Kosh) already posted. Skin (Curio), Tattoo (Pididdle) already posted. Publicado em: Calças, Camisetas, Blusinhas, Colares, Sapatos. Marcado: Absolution, Berries Inc., Croire, Sassy Kitty Designs, Sway's. 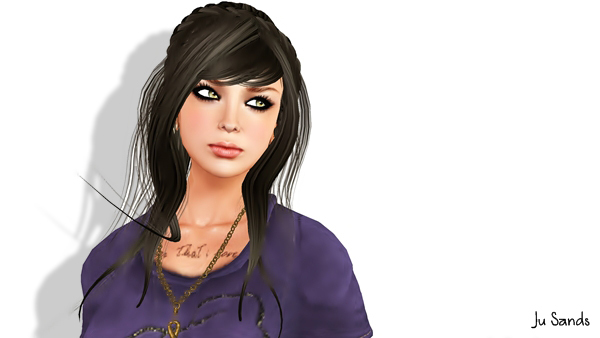 Skin (Curio), Hair (Lelutka), Tattoo (addiXion), Headband (Pr!tty), Bangles (CatsS) already posted. Publicado em: Cabelos, Camisetas, Blusinhas, Colares, Pulseiras, Shorts. Marcado: CatsS, Fairy Tail, Filthy, Indie Rose. Skin (Curio), Shoes (N-Core) already posted. Hair (Maitreya), my Pet Fred (KittyCats) Already posted. LOTD 39 – *Crazy* New! Skin (Curio), Pants (mon tissu) and Shoes (Elikatira) already posted.